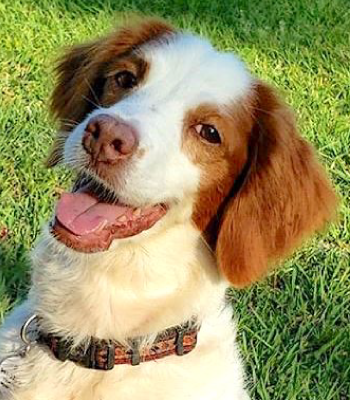 Once called the Brittany Spaniel by the AKC, this hunting dog is now the American Brittany or simply the Brittany. 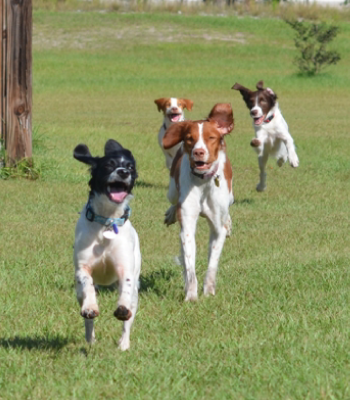 Spaniels flush but Brittanys are all-around hunters, they flush, point and retrieve, holding more dual championships (in field trials and showing) than all other sporting breeds combined. They are highly intelligent, energetic, willing to please and makes a great family dog. Applications are being accepted for the dogs listed! PLEASE NOTE: We do NOT adopt our dogs out of the state of Florida.